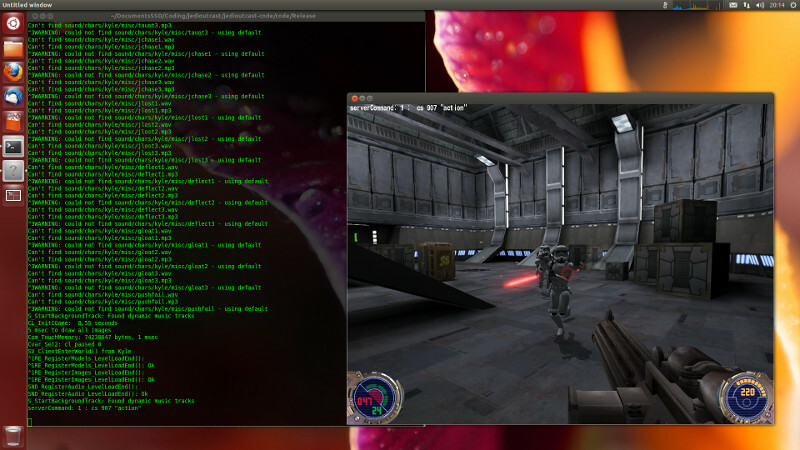 Five days into working on the Jedi Outcast Linux port I’m finally in the game. * Loading and saving is not working properly (the AI is not triggered correctly after loading a savepoint). * The sound cues are starting too early in conversations. And of course some smaller issues, but a lot of stuff just worked out of the box.